Superb and very creative as usual. They say, every day ought to be commemorated for every day is a day of the human condition. Not sure if it was coincidence when they wanted to name 21st a day of Down’s Syndrome day. As you know, chromosomes come in pairs and as it so happens that, when Chromosome 21 has three copies instead of only two, Down’s Syndrome sets in. I thought it was interesting. Great observation. I hope it was intentional. ነቲ ሓደ ኣኽቢርካ፡ ንሓደ ምግዳፍ እየ ከም ምስላ ኣቕሪበ እምበር፡ እታ ኣደይን እተን ኣዴኻን ምስ እንዳ ህግደፍ ከወዳድረን ኢለ ኣይኮንኩን፡ ምድርን ሰማይን! ፈሪሕና’ለና ኢሳያስ ንዓይ ሓንቲ ማዓልቲ ኣብዕሉለይ ከይብለና! 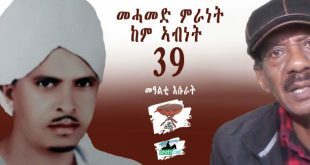 ንምንታይ ድኣ መስከረም 18? መዓልቲ ኩሉ ተታሒዙ እዩ፡ ኣሽንኳይ’ዶ ንኣኹም ንነቢይ ኢሳያስ እኳ መዓልቲ የብሎምን። ኣብቲ ድሓር ትኸድዎ እቶም ኣዕርኽቱኹም ጽቡቕ ጌሮም ክቕበልኹምን መዓልቲ ክፈልይልኩምን እዮም ዘይንብሎ? I think we all should applaud Haile Menqerios for holding the Bull by its horn when he challenged Abiy at the conference that recently took place in Addis. He said that, peace can only be lasting and tenable when the deal is not only institutionalized but also when it is not confined to only two individuals as in Abiy and Isaias as well. He went on to say that, the peace deal between Abiy and Isaias can not be said between Eritrea and Ethiopia when they are by-passing Tigrai unless otherwise Tigrai is considered not part of Ethiopia. I thought it was a gutsy remark. My hats off to him! (a) Bernard Mandeville argued “private vices” as public benefits. How so? (b) How the “will of nature” maintain the equilibrium of various interests in the context of “self-interest” that brings socially beneficial products? (c) What has to do “the invisible hand of providence” with the Marx theory of economics? Thank you for the interesting and engaging questions. That said, not sure where to start. Really. If you remember, the new motto of the 80s was “Greed is Good” where it led the eccentric Oliver Stone to make a movie titled “Wall Street” in the late 80s. The question is, is greed good? The question cuts deep into the ontological inquiries that have hitherto mystified philosophers, thinkers, sociologists and psychologists alike about human nature. Thomas Hobbes and Freud believed that, human nature is inherently bad, for instance. On the other hand, John Locke and Rousseau believed otherwise. These two philosophical underpinnings buttressed the latter day political economists to frame their ideas accordingly. Adam Smith and Bentham postulated that, every individual is driven by an intense self interest where this self interest is not only the driving force of the market dynamics but if it is curbed or arrested by an external force as in the State, it becomes detrimental to the entire society. In short, the “Invisible Hand” favours the powerful and the strong. And that is the crux of present day “Neo-Liberalism” where if Classical Liberalism put individual freedom at the center of its creed as a God given liberty, on the other hand, Neo-Liberalism argues that human freedom can only be guaranteed by unfettered free market. However, the disparity in equality and the ownership of the capital throughout history by the very few and powerful whose motto was greed is good, brought about not only social and political revolutions but impressed upon Karl Marx not so much to focus on the philosophical questions about human nature but to examine the entire structure of history through the interplay of Capital and Labour. Certainly Karl Marx was influenced by the Epicurean teachings of the ancient Greek when they emphasized living in harmony in a community but remained bitter towards history for he was convinced that, history was owned by those who owned the modes and means of productions including the ultra-structure as in the legal system of a society as well. As such, Marx saw the value of any product not by how it is determined by the forces of supply and demand with in the market but by the amount of time and energy the working class puts toward the product and by how much the bourgeoisie is profiting from the product where the two theories are known as “Labour Theory of Value” and “Surplus Theory of Value” respectively. Thing is, perhaps Adam Smith was right, equally Marx was right as well. The idea that human beings are unique in their own right and differ in their ability remains to be true. And the challenge becomes to creat a system to provide everyone a fair share and it takes a responsible state that can live up to that end that can strike an equilibrium between the ever tense relationship between Labour and Capital as well. That is probably the reason Social Democrats seem to get it right al’a the Welfare nations as in the Scandinavian countries, for instance. Thank you for the elaboration. As you have aptly noted it that “the Invisible Hand favors the powerful and the strong”, certainly the current economic structure only serves to the very few who owns the “mode of production” and those who runs the legal system of the “super structure.” If the “value of the labor” on the “products” are not considered on the outcome of the “surplus value of the product” that mandate a “proportional distribution” of the fruits of the laborers, then the economic system is structured to benefit the capitalists by exploiting the labor value that goes in to the product. In my opinion the true essence of the “LTV” and the “STV” can only be defined by Karel Marx’s theory of economics “the value of ‘Labor’ vs the value of the products” as directly proportional to each other. I admire you not only for the vast knowledge but on your tenacity to write all this In Tig. Theses pieces can be compiled, edited and read in radio to educate the public. You are tacking serious issues in lay peoples’ terms. they weave history, economics for those who have such interest. I remember watching one of Peter Sellers parody movies titled “The Party” and in one of the scenes, he plays an actor where the plot and setting is medieval Europe and when he was on the set with a medieval costume, he forgot to take off his wrist watch. Obviously, during that time, wrist watches hadn’t been invented yet but since it was a parody, the whole purpose was to make it funny. I agree with you that, there appears to be inconsistency between the wording and the times of the characters lived in but I am under the impression that, readers might shrug it off for focusing on the inconsistency might mean missing the whole point of the crux so to speak. Thank you for pointing it out though. I really enjoyed reading your superb economic lesson on Hayek & Keynes, Other than the names and titles, I had no knowledge on the topic and you made is quite interesting, specially doing it so in Tigrina for such a heavy topic. Lately I have heard Ray Dalio Principles trying to learn the economic cycles from pure practical point of view: related to the market. I think his discussion on interest rate and the whole monitory policy you may find it of interest if you haven’t already. Having said that, I always get puzzled how the world financial system seem to favor those rich and powerful nations and the pure countries (specially Africa) at the mercy of those rich countries. What I am saying is, these economic theory they are practical in the western and rich countries, countries that have the ability and are in charge of their monitory policy. For example, China had a huge growth in the last 30 years. At the same time, it’s national debt has been growing at the same rate. What puzzles me the most is, why is China able to have so much debt and where / who is lending money to the country…where China in turn and lend money to many other counties like most African countries and including the US. Does countries like China, the US, Japan and other countries have the ability to print money as they wish and fund the projects or they have to raise capital like any other third world countries. In this case, I think the fact that Africa is divided to so many small countries with their own monetary policy, how does that affect Africa to develop. Is there such a theory specific for Africa or countries for Africa. Glad you found it interesting. Maybe I will do “Neoliberalism” as a continuation of the comment on Hayek and Keynes. God willing and if time permits, that is. As you know, Ray Dalio is a very wealthy guy and he gives all the props to his old man for he taught him the value and how to save money on an early age. In fact his maxim goes, there are two kinds of people in this world—those who work for money and those who make money. He proudly says that, he belongs to the latter. His videos are straight from a classic Economics text book and it doesn’t give you the historical overview or context in terms of why a certain School of Thought differs from another School of Thought, for instance. I have come to realize that, in order to understand a powerful idea, it is prudent to learn more about the person who came up with that idea as in what factors influenced him or her. And that is precisely the reason that, it gives one a broader understanding when one learns about the eras Keynes and Hayek lived in, for instance including understanding why they wrote the books that brought them to fame and academic accolade as well. For China, it was a matter of a critical choice and a matter of survival as well. That is to say that, it had to depart from a command economy to a free market economy in 1978 when it realized that, Japan and Taiwan right in the neighborhood were riding on double digit growth that could be a threat for China. But the route China followed was manufacturing based on cheap labour by investing on its untapped human capital. Africa is certainly following the same economic imprint. And it will be seen if it is a huge investment or a burden to posterity. Your broad knowledge is quite amazing. Yes I agree to go to source and it’s basic forum is important and I think it’s the reason why you made these topic so enjoyable to read. While I was reading Rai Dalio bio long time ago, I come across a free software company his son co-started called Endless OS. It’s aimed at a lot of third world countries who do not have access to internet but comes loaded with lots of application that do not require internet connection. I think it’s great learning tool specially for young children who will be less distracted from browsing the Internet while having lots of access to play and learn. I just finished listening to the Seminars given by the same “old” men in a counter-offensive as Sal put it in one of his twitter feeds to the firebrand unstoppable Yiakil! We have academics and researchers, they churn out new ideas. And these ideas are conveyed to the general public via public intellectuals as in journalists, writers, bloggers, pundits and columnists–the citizen becomes a well informed citizen so that his or her judgement would be based on facts by weighing in on the pros and cons! But when the citizen is fed the same worn out recycled propoganda, the end result becomes the same. 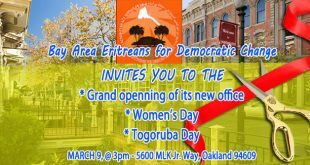 One thing is crystal clear—PFDJ is feeling the heat of Yiakil! 1- Less than 35 years old. 3- Should not be BALD. 4- Free of WRINKLES on their faces. 5- Should be more than 170cm long. 8- It is prefered colour to be white. I hope above details could hide them well. Really, this is a farce. In our revolution all our people were struggling side by side without dividing themselves between old and young, women and men. I think it is better all the caravan should move all together. It really is wonderful to see and witness this. All their trolls including the likes of Sirak Bahlibi were on defence against the “Enough” movements. I just hope that people start soon in Eritrea. It reminds me how the downfall of the EPRDF started. Imagine now what they think their problem was and the solutions they were prescribing, equal representation and all kind of sophisticated solution for simple problem which is, free and fair election. Now they are really find a complex problem (like Addis ownership)and they have no solution. The PFDJ is talking about,roads they are fixing, ports they are expanding and diplomacy they are engaged and at the same time expanding the national service and free slave labour. They don’t get it that that’s not what the people are demanding, and it will not cut it this time. We just have to keep “pump up the volume”. This is truly significant. Instead of Isaias carrying on the second part of the interview which was supposed to address the core issue of reform al’a Abiy’s mantra, Isaias opted to torpedo it with Seminars instead. 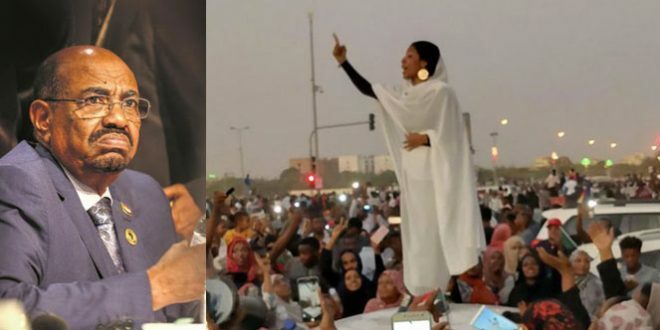 Second, when the regime is so well known in ignoring people’s demands out of sheer contempt, this time around however, it is feeling the heat and this is a huge victory for the people including the owners of the Yiakil movement as well. Thing is, when the Seminars are over and done with, people will go back to their indignation and will continue pressing on with Yiakil, simply because the regime is not addressing the pink Elephant in the living room so to speak as in Constitutionalism, rule of law, immediate release of political prisoners, pluralism, freedom of press, demarcation and other pertinent issues. In Ethiopia if they are differing about Addis Ababa, they are doing it under a government that could seek a solution for it. I hope this to be understood and to compare the Eritrean problem in a different context applicable to it. Concerning, Yiakil to the regime in Eritrea started before years and should continue as a mantra to influence people. 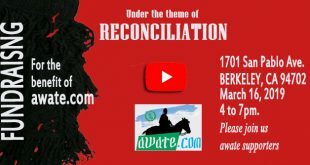 It is short and easily understandable by any Eritrean whether inside Eritrea or in diaspora. Yiakil is only a mobilizing tool, but not a representing entity. I think, the mobilized people require leadership. If you don’t mind it could you explain to me who are the leaders of this movement and who has chosen them? Are the people of Eritrea condemned to be lead by passerby or there are people behind the scene whom we don’t know? The word “movement” is mine and I see the problem it could create and misunderstood. So I take it back, what I meant was the momentum the “speaking us is taking”. As a matter of principle that I held from Sept2001, Eritrea has one and only one enemy and that is IA and his supporters. Any person, organization or what ever who contribute in his / her capacity fighting this regime, I consider an asset and should be encouraged and supported. I worry very little who comes next because, if and only if Eritrean people manage to remove the regime from power then, the people will have the capacity to take the country to the next stage. If we end up with another dictator that comes after him, well I believe we have to deal with him when we get there. To answer to your question, I don’t know who the organizers and leaders of yiAkl challenge are but from what I have seen, it’s an open challenge and people are taking part and raising their voice. 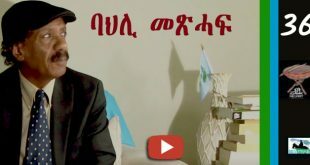 Here is a link to the interview Amanuel Dawa who I believe is the guy he started it with SBS, answering how it started and what the next plan is. In general, like you said the other day I think, in 1991 IA had 99% support and ever since he was losing supporters. Change is slow process but eventually it will take off and this “challenge” is an addition to the great fight that has been going on by a lot of people. And when you have time, please check the YeAkle / enough page in FB and listen to some of the challenge takers. Thank you very much for clarifying the issue for me. Brother Berhe, you care a little about tomorrow, but I care too much about tomorrow. The more Eritreans come together the more Isaias removal will be nearer than we expect. The only thing that kept Isaias up-to now is our division. The issue that frightens most Isaias is our UNITY not the word YIAKIL, because many people in the opposition said Yiakil a long time ago but didn’t frighten Isaias. Today, Isaias is frightened because we are united more than any time before in our history. Isaias removal is inevitable, therefore it doesn’t bother me. What bother me most is the period after Isaias. Are we ready to receive that period properly? In Arabic we say, “Take care from your enemy one time, and from your friend thousand times”. My advice to All Eritreans is to guard their present revolution vigilantly from theft. THE PRESENT IS KNOWN BY ALL THE PEOPLE OF ERITREA. WE SHOULD INFORM OUR PEOPLE ABOUT THE NEXT STEPS, THE MOST IMPORTANT STEPS. WE SHOULD NOT MOVE BLINDLY. ALL OUR STEPS SHOULD BE WELL CALCULATED. Your above statement reminded me a chat with a friend (God bless his soul). In 1994, I met him in one of our neighboring countries. I asked him: Did you visit Eritrea? he replied to me: Why do I visit her? I told to him she became independent. He responded to me, now too thirty years is not a long period. I replied to him, shame on you again thirty years. 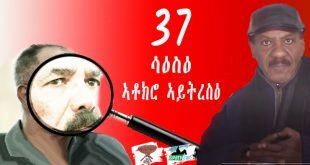 Brother Berhe, the next dictator will take 60 years, because he will take lessons from the demise of Isaias. If I give you the indication that I do not care about tomorrow, I am sorry on my part, as I have not been able to explain my self better. In fact YiAkl, opposition etc will not bare fruit of the fight we are engaging is not done with strict strategy, that will lead us to democracy. In the book of Gene Sharp, from dictator ship to democracy, the great deal of time needs to be spend in strategy to craft the future and the transition. I don’t know if you recall in my reply to Dr. Paulos, that’s wat I tried to relay for the thinkers to come up with road map. Yes I agree the opposition were saying YAkil for long time, but I think the PFDJ was able to use division to divert and slow the momentum. The reason I am hopeful is, as people we have learned and experienced a lot. If we learn from history for many countries who went through our experiences, with every change they get closer to the ultimate goal of reaching democracy. But I agree we should not go through another pain but rather aviod it all together and have smooth tradition would be the best outcome. Here for example I got a survey, which I suspect it’s from some people behind YiAkl (don’t know for sure a friend forwarded to me) that if you or others find of importance to participate. Thank you for the short economic lesson to your readers. And above all, for highlighting the difference of the two prominent scholars (Hayek & Keynes) in their economic outlooks, for which their economy philosophy has resulted to two school of thoughts debating rigorously till this date. I tend to agree with Keynes economic philosophy, especially on the role of the government in solving the unemployment when the work demand is limited. Well done Dr Paulos, well done. Please keep up. I am glad you like it and many thanks for the encouraging words. It is fair to say that both thoughts are compelling in their own rights given the complexity of economic factors. I intentionally left out Marx’s powerful theory otherwise known as “Labour Theory of Value” where it could blur the critical distinction between Hayek and Keynes. More over, if we add the “I am my brother’s keeper” article of faith of the Judeo-Christian moral tradition into the mix, we could see that, the argument not only becomes contradictory and convoluted but also Hayek’s stand becomes weak for it traces its main ideas from the said tradition. This is to say that, every nation is not cut from the same cloth so to speak for every nation has its own realities including norms, values and culture. As such, it becomes out right hubris and condescending to ascribe a single economic dogma for every nation. In your next class, please bring “Marx theory” in to the mix to understand the flaws of the two school of thoughts. As there was an end to feudalism, there will be an end to capitalism. It is only a matter of time until automation displaces the entire human labor. I am thinking of commenting on Evolution instead next time around to give a repose to readers from the “social” sciences. By the way, how do we say a Zoo in Tigrinya? Oh great. 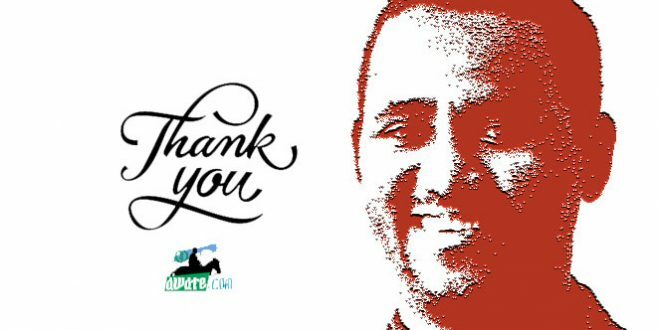 Many thanks Sir! Are you planing to talk of Eritrean wildlife? I am not sure there is anymore zoo. Emma’s translation of zoo is great. 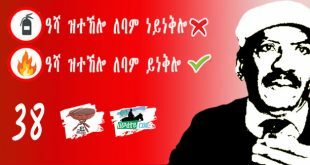 My choice is ቅርዓት እንሰሳ ዘገዳም. Question for you and all. What kind of animals do you expect to be indigenous to Eritrea only? To give you a laugh of the day, how about “ግሔ” or “ሜዷቅ”. Nice try, but the species of Hyrax (ጊሔ) and ሜዷቅ that exist in Eritrea exist at least in Ethiopia. Are you a biologist? I sensed your interest on plants and animals. If we have resident biologists at Awate, let us hear from them. Tough lock. If there no biologist with a crown at Awate-U, I can act as one. I will come back on my question later after hearing from others, hopefully. Another question for you. 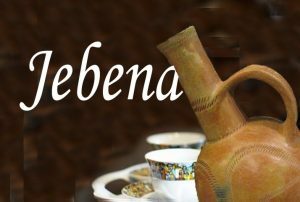 What do you call ዓንጎግ in english? Have you ever seen it, BTW? So you are a biologist. I think I am familiar with “ዓንጎግ ” but have no idea in English. ዓንጎግ is Nile monitor. It lives in the nile and its tributaries and lakes. It use to live in rivers of Eritrea as well. Don’t know its status there now. I have seen it in Ethiopia. In Eritrea, I remember villagers talking about its danger cutting peoples legs with its tail. Cutting is exaggerated, but its long tail is muscular, uses it for defense, and it can throw someone off balance. Usually around 3 to 5 feet long (total body), it can attain more than 7 feet. It has beautiful colorful skin. Like all monitor lizards, it has a forked tongue. ዓዲ ሓሎ can be a great habitat and center of rehabilitation for this reptile. I was completely off. I was thinking a kind of plant that covers the ground. This animal is new to me thank you. Now you are a resident biologist of Awate university. Thank you Emma. Very interesting! The plant is ዓንጎ, the reptile ዓንጎግ. At least both are greenish :-). 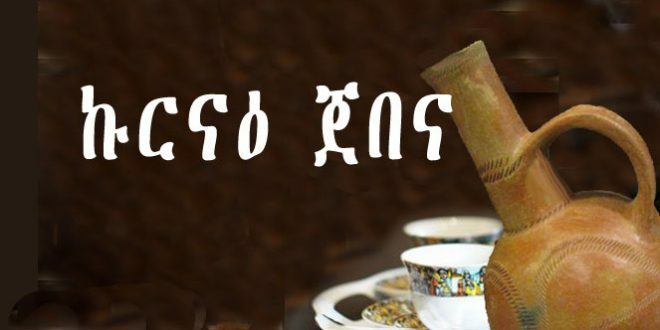 ዓንጎ is an edible plant in Eritrea and Ethiopia. It is ቛርፍ መሮር. I tried it one day, I didn’t like it. It is one of the plants whose scientific name (Caralluma ango) came from tigrigna, ዓንጎ. There are other gender and species too, edible in our countries, decorative ‘miniature’ plants elsewhere. “ዓንጎ” was in my mind. Thank you. Not any animal in particular but the idea of a Zoo could be a way of putting the idea of Evolution in a context. Your translation is equally great and appealing. Thank you. No Zoos in Eritrea? That’s funny 😂. ኢሳያስ ንኹላህና ናብ Zoo ቀይሩና እንታይ ክንገብር ኢልካና! I really can’t think of any animal unique only to Eritrea. Paul, I think, by animals, you were thinking about mammals and birds. Endemic animals to Eritrea include, insects, fish, a frog (one specie only), and snakes among which one venomous viper only found in one of the Dahlak islands. Yea I was thinking along those lines as in mammals, reptiles and birds. I tell you, I am impressed by the vastness of your knowledge about the diversity of faunas in Eritrea. Great stuff. There use to be a zoo in bet gergish during Derg time. It use to be at Gibi. I remember when they build the zoo at bet ghergish and moved the animals there. That’s where I first saw a lion and heard it’s roar, still remember it, and never heard it again. Yes, I knew both. It was also at Gibi that I first saw a Lion. My dad use to take me there when I was very young. After getting moved to Bet-Ghiorgis the situation of the animals deteriorated and the last Baboon died 2 years back (we talked about it here), I am not sure if there is anything else. Perhaps Isaias was jealous of the lion for he thought he was the only lion in Eritrea, thus he decided to shut it down. Is “Piazza” Tigrigna? If it is, it is a new word to my vocabulary. That is exactly the definition of the word. I agree if it is an open space. ወሪዱኒ I am not an expert; I just have an interest in it. Paulos is on a roll: very well done indeed. Just one observation: may the Lord spare me a mistake (ጌጋ ይኽላኣለይ ደኣ እምበር) ሓዊቦኻ ምራጭ ንኖኻ ብርጭቆ ኣጋግዯመን): the relationship between money supply and interest rates are the opposite of what was described. But I feel bad for even nitpicking on this because the overall work is just magnificent! The ጠለብ and ቀረብ is simply beautiful. Thank you. When everyone is saving instead of spending, money becomes scarce and the banks encourage entrepreneurs to borrow money on low interest rates so that they can make use of the money that is being hoarded in the bank. The logic particularly Hayek forwarded was that, it is the interest rate that matters most not supply and demand and not only as the key driving force of the economy but the only information needed to know about the overall economy. How about comparing Schopenhauer and Keynes on the effect of interest…. For the first time, you’re losing me. What do you mean? Before I opened the link, I knew it was going to start with “Ceteris Paribus” as in everything being equal. That is the thing about Economics, if you hold every factor constant but only few factors playing out, practically every argument could work or make sense. P.S. Just finished reading, Dr. Newitol. I am still laughing. I say, Dr. Newtol, ሓወቦይ ምራጭ and ብርጭቆ should hang out. P.S. 2. Would you say, the FM had ያዓኒ in mind when he kept saying, “What you call”? I believe you are spot on on why Osman Saleh says “what you call” so often: he thinks in Arabic, he speaks in English. It’s a filler for him like “umm”. Since it is Saturday, here’s the link to Dr Newitol. I was thinking ቀረብ for “import” as in “ሰደድ and ቀረብ” for “export and import”. If “ቀረብ” is for “supply” then what will be for “import”? Let me join you and say regarding “import and export”. Good you provoked saay7 to visit us here at the forum. The exchanges both of had sent my memory back to my secondary school introductory economics class teacher who advised us with emphasis never to lose sight of demand and supply in measuring value of goods, services and mediums of exchange. Here, I took note of supply and demand of money in determining interest rates. Here is, thus, my question: how the two thing relate to one another? I have the source of the money for borrowings and lending operation – the lieutenants of the so called invisible hand such George Soros for example. Wish Sal could divide his time between Eritrea-Digest and Awate more iften for he is not only the face of Awate but he has a way of getting all of us engaged in an otherwise intellectually stimulating discourses with his immense resources particularly about the Horn in general and Eritrea’s current realities in particular. Please forgive me but I am not entirely clear about the question you posed. If you could please elaborate a bit further. Than you. Sorry for the ambiguity of the question; it’s abit loaded by an amateur’s inquisitiveness. What I wanted to say was how demand and supply of liquid money in banks can be related to supply and demand of services and goods. I mean the former in determining rates of interest, and latter in determining prices in money. Is the former (bank savings) accumulations of what demand and supply economic operations produce or is there any other ways of money making. I was in fact motivated to raise this question when I did a bit of reading when you mentioned “the invisible hand”, and started to get glimpse of the role of neoliberal economy and free markets and the financial giants it produced. It was in that context that I mentioned George Soros and his role in the melt down of South East Asian so called tiger economies – Indonesia, Malaysia, South Korea and Thailand in the 90s. Hope it is better now; otherwise you may just ignore it if it won’t make sense. My apologies for making you repeat the question. It is more clear now. Thank you. As you know, the quasi-subjective nature of Economics makes it a bit harder to elevate a certain School of Thought over another for they both could be right given the circumstances as in the main decisive factors involved. For instance, the Supply-Side Economics otherwise colloquially known as Reaganomics argues that, cutting taxes and massive deregulation incentivises growth particularly cutting corporate taxes. That is, the taxes that would have been levied on the giant corporations, could creat more jobs as they expand their businesses by the extra money. And more people would be hired and the wages would be spend on consumer product and that stimulates economic growth. As we can see, this is from the producers perspective, hence Supply-Side Economics. On the other hand, if you look at the economic dynamics from Demand-Side or as it is known as Keynesian economics, it argues that, it is only when more money is put in the pockets of the consumers that economic growth can be attained. That is to say, if the government involves and borrows money to creat jobs in massive infructures as in roads, bridges and rail roads alike, jobs would be created and wage earners would have money on their pockets to spend it on consumer goods and services. And that could stimulate the economy. Well, the question still remains: Which one is right? They both could be valid again given the circumstances. For example, as you know, Keynesian economics created economic miracles in the 50s and 60s till it created the thing called Stagflation in the late 70s and early 80s. And it was abandoned all together by Reagan and Thatcher when they opted for Supply-Side Economics till it resulted in a depression in the late 2000s. And a hybrid of Keynesian had to come back to revive the economy. I don’t think, the financial crisis of the Tiger nations in 97-98 particularly in Thailand and South-Korea including Russia and other Eatern block nations is related to opting for either of the said school of thoughts over either of them, rather, it was lack of institutional capacities as in when they prematurely liberalized capital accounts for short term capital gains. This is to say that, during the earlier years of economic boom in the Tiger nations, many investors wanted to have a share of the pie by flooding their money into Southe-Korea, for instance, as a short term capital where they could withdraw their money any time they wanted. But when speculators [George Soros?] sensed economic slowdown, the panicked investors withdrew their money, the institutions didn’t have the capacity on how to handle the meltdown of the banks and that led to the Asian crisis. This is what I mean in a nutshell: if a biochemist can explain “economics and the history of economy” with an impressive grasp of the subject, then it will be a wonderful class if Saay is added in to the mix who has a better background on the subject. For those of us who have a rudimentary knowledge on the subject, both of you could do a good job on the subject. Please join him to elevate the teaching and the debate. Certainly Sal is Sal but I wish everyone could get involved in the discourses and debates. “Debt: The First 5000 Years.” David Graeber. “Lords Of Finance: The Bankers Who Broke The World.” Liaquat Ahamed. የቐንየለይ ክቡር ሓው! ከምቲ በቲ ልዙብ ቃላትካ ዝገለጽካዮ፣ እቲ ዕላማ ክልተ ነገር ዝሓዘ እዩ፣ ሓደ ብፍላይ ነዚ ሓድሽ ወለዶ ናይ ፍልጠት ፍቕሪ ከዕቢ ምንባብ’ውን ክፈቱ ምትብባዕ፣ እቲ ካልኣይ ካኣ ነቲ ምኡዝ ዝኾነ ቋንቋና ትግርንያ ታተ እንዳበልና ናብ ናይ ሳይንስን ቴክኒካውን ዓለም ክንወስዶሞ ምስ ሓደስቲ ቃላታት ከነላልዮ እዩ። ስለምትብባዕካ ደጊመ ከመስግነካ ይፈቱ! Thanks for the tip about customary way of conflict/dispute resolution in my community. I will look for the edition. I absconded myself from being frequent reader of the regime’s mouthpiece when it became mere conduit of what the regime wanted to disseminate, which is not wise to do for a person who looks for point of view. You are absolutely right in absconding. Other than some fortuitous articles we can learn from, most of the time, what is written there are results of weird ideology and/or pure incompetency. Incompetency, despite the efforts made by the young authors who try to fulfill the emptiness. I started visiting these papers in the last few years from critical point of view. A tasking work made simple. Competence and command of material and language demonstrably exhibited. My amateurish exposure to elementary economics tell me depth in subject matter helps in taming underdeveloped language to deliver knowledge. This point has been ambly shown by this not so easy undertaking. Thank you Dr. Paulos for the lesson. It is bonus lesson to young aspirants to learn and appreciate the effort. I am glad to see that I didn’t let you down. And many thanks for those kind words. Economics as you know could be tricky for the factors involved are vagaries of human behavior among other things. The flip side is however, its elegance rests on its remarkable ability to accommodate opposing school of thoughts where they own the lime light in turns. No thought is more right than the other. That is its beauty. Some of you may have caught it already–I meant to say “Rheumatic Fever” not “Rheumatoid Fever.” My apologies.